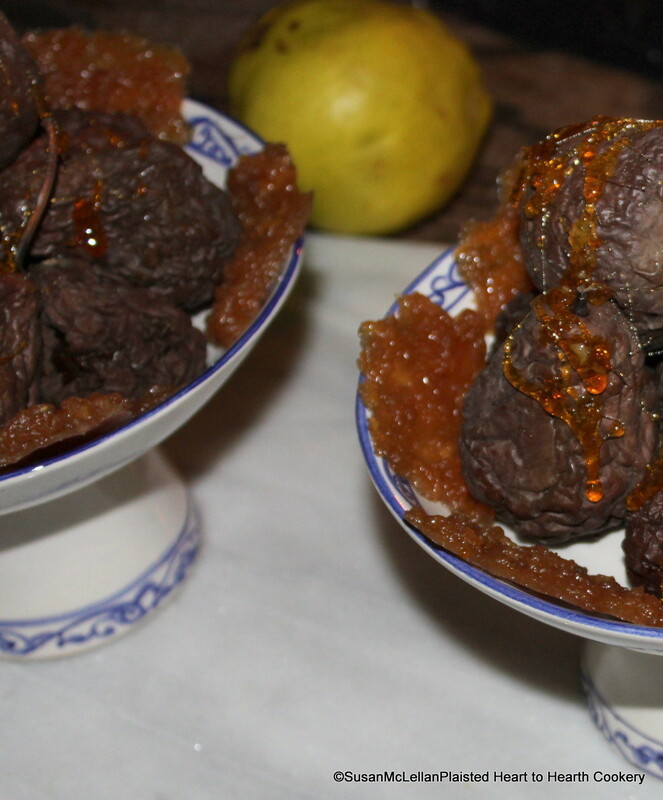 On the same tazza with the dried pears, shining like jewels for the banquetting (or dessert) table, are quince cakes. In the back of the picture, between the two tazzas, is a quince. Quince, that many identify as similar in appearance to a pear or a Yellow Delicious Apple, are not pleasant to eat raw like a pear or apple. The quince are high in acid and pectin and require some heat treatment to be made palatable.